My classmate foaled a baby girl today and it weight was only 1500g. That was crazy. 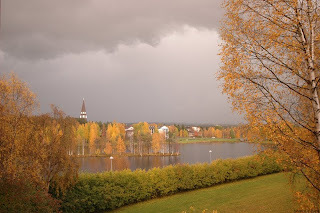 But more crazy news are that in northern lapland rained the first snow today. A landscape from my balcony. Winter and that stupid white and cold and wet snow is soon here. 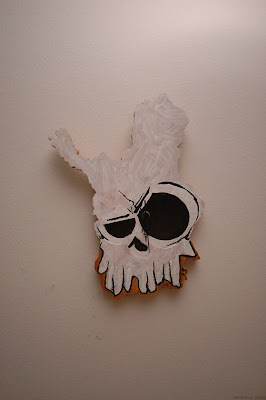 And lapland-skull-clock which I painted today. This is actually a schoolwork believe it or not. Hehe.